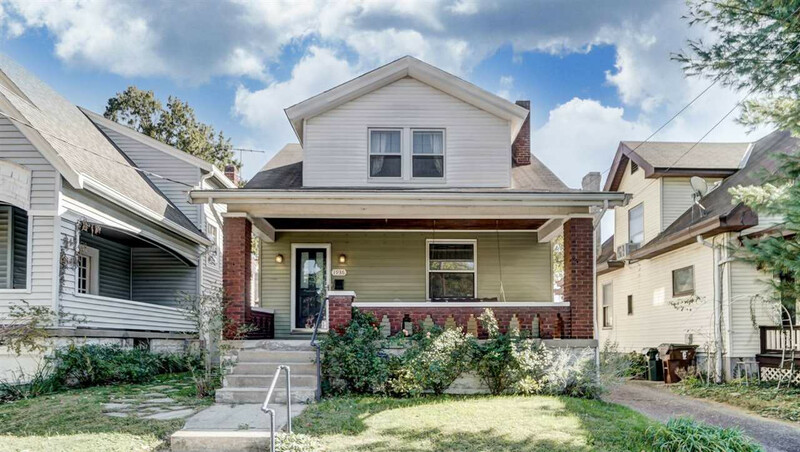 Take a look at this great home filled with charm and character. Natural woodwork over and sized baseboards. New flooring throughout. Updated bath, spacious master BR has 2 walk-in closets and 2nd BR has a W/I closet. Access the 2nd fl from the LR or kitchen. Covered front porch and fenced rear yard with shed. Seller providing 1 year home warranty.